Nate's Nonsense: Happy Bill of Rights Day! 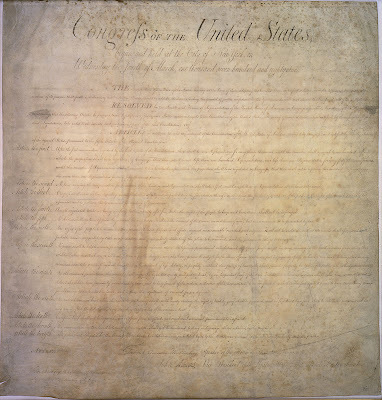 It was 220 years ago today that the Bill of Rights (the first ten amendments to the US Constitution) were ratified by enough States to become law! Sadly, many people today have no idea what the Bill of Rights is or what was intended by passing it. 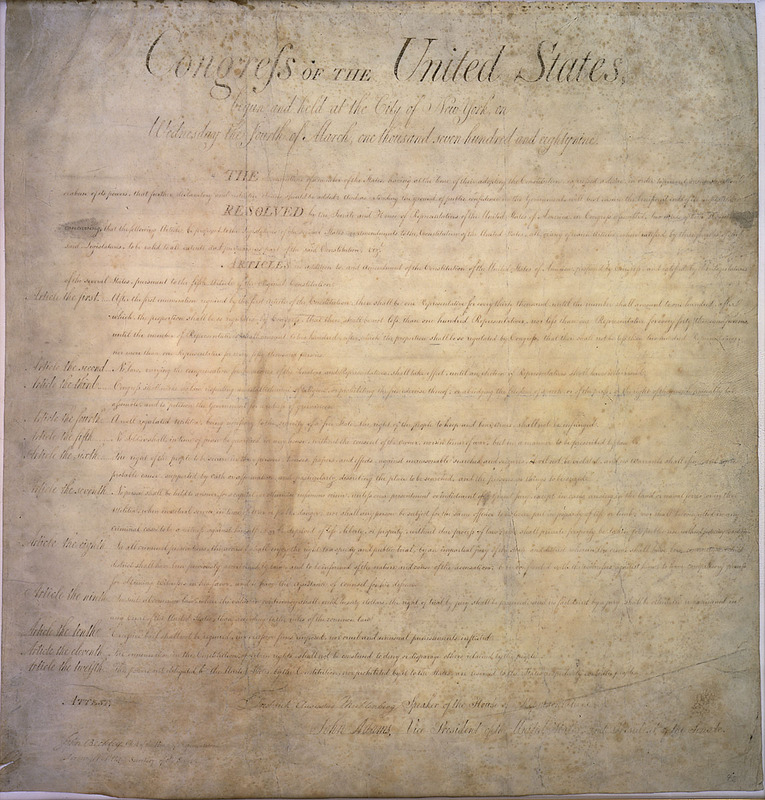 Instead of an exhaustive list granting citizens specific rights, the Bill of Rights was intended to provide clear restrictions on the power of the national government. I wish more people in Washington understood their own government. So, how about you? Does any one have a favorite Amendment in the Bill of Rights? I'll step right up and answer this one. #2 -A well regulated Militia, being necessary to the security of a free State, the right of the people to keep and bear Arms, shall not be infringed. It's the second amendment that insures that all the other rights in the bill can be assumed. Are we the only nation in the civilized world that has such a thing? It seems incredible to me that this document would ever come into being at the that time in history-- and give certain rights to every man. After teaching Civics class for two years, I don't think many Americans understand how hard the Founding Fathers worked on the Constitution. Not everyone agreed with the idea, and still those delegates worked hard to create a government that allows the citizens the rights we have today. We are giving way too much power to Washington, DC, and most people don't even realize it! So sad! Happy Birthday Bill of Rights! Without you, there would be no Constitution, and therefore no United States of America! Thanks for the heads up Nate. Thanks for the link to the Legal Information Institute, Nate. I've added it to my favorites. Also, in case I don't get another chance while there's still time, Merry Christmas to everyone!